Great Danes are known for their intimidating size. They can tower over other dogs and weigh well over 100 pounds. In fact, some dogs of this breed can weigh up to 200 pounds when fully grown. Despite their gigantic size, these pups are gentle and affectionate. It's not uncommon to see these dogs awkwardly cuddle on their owner's lap as if they were a fraction of the size they are. With great size comes distinct nutritional needs. These gentle giants grow up pretty fast and need the right food to help them develop properly. Unfortunately, Great Danes are also prone to serious health concerns and injuries. A high-quality food can help to combat these problems and ensure that the dog lives a full and healthy life. In a hurry? Here's a quick overview of the recommended formula's. How Much Food Does a Great Dane Need? Basically, Great Danes need as many calories per day as humans do. These dogs can reach over 32 inches in height. With that much body mass, the dog needs a lot of fuel to stay active and healthy. Because dog food formulas contain different nutritional content, it's important to measure food portions with calories instead of volume. On average an adult Great Dane will need around 2,500 calories per day. This amount is ideal for fairly active dogs that have a moderate weight. The breed has a relatively slow metabolism in comparison to their size, so it's important to avoid overfeeding that could lead to weight gain. 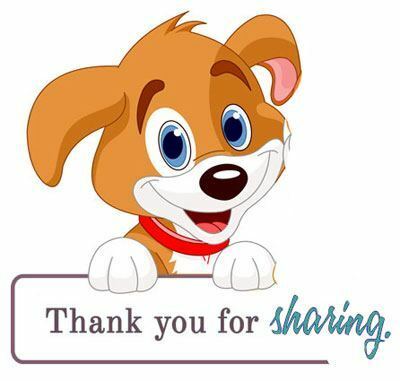 *As with any dog, the specific amount of calories will depend entirely on their activity and lifestyle. ​More active dogs will require a bit of extra fuel to keep up. Canine companions that get a couple of hours or more of exercise each day will need just over 3,000 calories. On the other end of the spectrum are older dogs or those that don't exercise much. They will need fewer than 2,500 calories to prevent weight gain. The key to providing the right amount of food for a Great Dane is to monitor their daily activity and adjust accordingly. The Eukanuba dog food is made for larger breeds. The use of chicken as the main protein source helps larger dogs like Great Danes develop lean muscle mass. To help with joint and bone issues commonly associated with big dogs, the manufacturers have included glucosamine and chondroitin. Chicken fat and fish oil are used as a fat source and provide healthy omega fatty acids. In terms of carbohydrates, the formula consists of whole grains sorghum and barley. Dry beet pulp is thrown in to act as a probiotic. It aids in nutrient absorption and digestion. This dry kibble from Nature's Variety is specially formulated to be simple and easy on the digestive system. Instead of a bevy of unnecessary extras, the manufacturers stuck with the basics. The ingredients list is significantly shorter than other options and filled with high-quality essentials. The main source of protein is lamb meal. Instead of grains for carbohydrates, the formula uses peas. It's grain free and contains Omega 3 and Omega 6 fatty acids for a shiny and healthy coat. To improve taste and smell, the food is coated in a green tea extract. 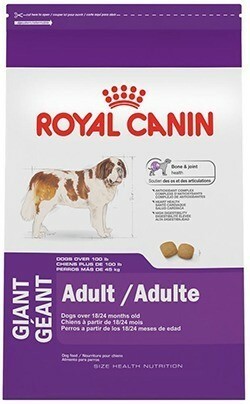 Made for giant dogs that weigh over 100 pounds this dog food is perfect for a growing Great Dane. It's made for easy digestion with the inclusion of high-quality proteins and plenty of dietary fiber. While its main protein source is chicken byproduct meal, the use of several supplements can be beneficial to a dog's health. Glucosamine and chondroitin help to keep the joints strong while numerous antioxidants and vitamins make the aging process smooth and easy. Taurine and L-carnitine is used to promote heart health as well. 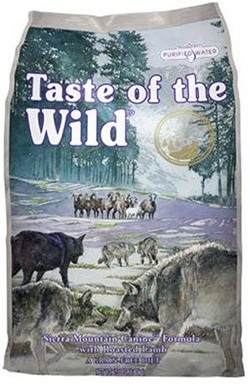 With high-quality proteins and a collection of natural ingredients, the Taste of the Wild dry kibble is filled with the nutrients and calorie content a dog needs to thrive. 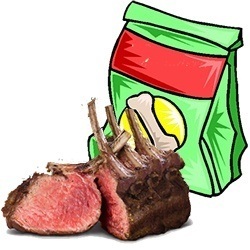 With this particular formula, lamb, lamb meal, and roasted lamb are used for protein. Numerous starchy vegetables like sweet potatoes and dry chicory root are easy to digest. Vegetables and fruits like blueberries, raspberries, tomatoes, and more provide more than enough nutrients to live a healthy life. Additional supplements are included to help with digestion and ensure that dogs are getting all the minerals and vitamins they need in one formula. 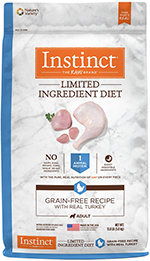 This dog food has been tested and perfected to provide large dogs with the nutrition they need. It uses two different sources of high-quality protein: chicken and pork. For energy and flavor, chicken fat is used. The protein and fat content is balanced to maintain weight and lean muscle. Barley, brown rice, and flaxseed are used as carbohydrates. Typically, growing pups of other breeds will require a unique formula during their first year. These formulas often contain higher protein percentages to promote growth. However, these options can be problematic for a Great Dane puppy. Great Danes will continue to grow beyond normal puppy-hood. While other dogs typically reach their adult size after a year, Great Danes can take an additional 6 months to get there. It's important to avoid generic puppy formulas when feeding a Great Dane. Instead, go with a puppy formula that's made specifically for giant breeds. Alternatively, owners can start their dog off with adult food. The reason for avoiding puppy food is to ensure that the pooch doesn't g﻿﻿ro﻿﻿w too fast. The increased protein will cause the puppy to grow and gain weight faster than their skeletal system can. This lack of support occurs before the growth plates have sealed and can ultimately lead to a host of painful issues. Because they require so much food, it's important that you spread the daily kibble out into multiple meals. At the very least, Great Danes should be fed two separate meals per day. If possible, providing three meals is a great idea. Doing this can help to prevent potentially deadly bloat. Another way to prevent this is by using a raised feeder. With their significant height, bending down low to reach the foot can cause gas and digestive issues to arise. A raised feeder puts the foot at head level for comfort and easy digestion. It's also important to have some down time after eating. Bloat can occur when the dog runs around immediately after eating. By forcing some relaxation time after meals, the food has ample time to settle and start the digestion process. While every dog belongs to the canine family, specific breeds have unique needs. The nutritional requirements of the Great Dane are focused on maintaining a healthy body weight, building lean muscle mass, and preventing common health issues. It's important to read the ingredients list of any potential dog foods to ensure that it's appropriate for the gentle giant. As with any dog breed, protein should be the first and most prevalent ingredient. However, Great Danes don't need as much protein as other large dogs due to their lean build. Dog foods should be comprised of about 23% protein. Anything more can cause weight gain. This is especially true in the first two to three years of life. Natural and lean proteins are best. Animal-based protein like beef, chicken, or lamb contain the 10 amino acids the dog needs to thrive. While plant-based proteins aren't necessarily bad, they don't contain the essentials that meats do. It's good to go with food that has multiple protein sources. Meat byproducts are less desirable and should be avoided if possible. Fats are the second-most important ingredient to look for. They are concentrated sources of energy that can help your dog stay active. The fat content of a dog food formula should stay around 12%. Fat has more calories per gram than protein, so owners should stay on top of the dog's fat intake to avoid weight gain. The best source of protein is from animals like salmon or chicken. It's often mixed in with the protein source and provides plenty of flavor and energy. The addition of plant-based fats like flaxseed oil is also beneficial. They provide valuable Omega fatty acids that can help keep the dog's skin and coat healthy. Great Danes have a particularly difficult time digesting simple carbohydrates like corn, wheat, or soy. Consuming these cheaper carbohydrates can lead to stomach pains, so it's good to stick with options that the dog can digest easily. These sources include whole grains, legumes, and starchy vegetables. Dogs need a healthy source of vital nutrients and vitamins. The best source is natural fruits and vegetables. A variety of natural plant-based sources can provide the dog with more than enough nutrients. It's best to avoid synthetic options. However, chelated minerals are a great option for Great Danes. These minerals bind to proteins for easy digestion. Great Danes can really thrive with the addition of several supplements. These supplements are included to help target specific issues the breed faces. DHA is a common supplement found in Omega fatty acids. It can help with brain and eye development. To combat joint and bone issues, glucosamine and chondroitin are great. Probiotics are also a great supplement that's found in fermentation ingredients. They help with digestive issues. These supplements are often added into the formula in small amounts, but they can do wonders to a dog's overall health with continued consumption. While these large dogs are highly sought-after because of their size and gentle nature, it does come with a trade-off. Great Danes have a shorter life span that other breeds at only seven to ten years. Their unique bodies make them prone to a number of health concerns that owners should be prepared for. A high-quality diet can help keep these issues in check. These two issues are fairly common among many large dog breeds. However, the Great Dane's lean build can make the problem even worse over time. Hip Dysplasia occurs when the ball and socket joint of the hip is malformed. It can lead to significant pain and difficulty with walking. Joint problems like arthritis are similar. The increased weight of their bodies puts constant pressure on the joints, causing pain as the dog gets older. Glucosamine and chondroitin can help to keep the joints strong throughout a dog's life. The supplements work to strengthen the cartilage in the joints, effectively cushioning them. 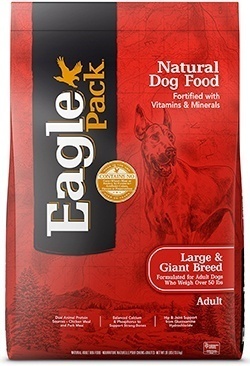 Many dog food formulas designed for larger breeds include these supplements, though food additives are available as well. This disease, often referred to as HOD, occurs in puppies that grow too fast. 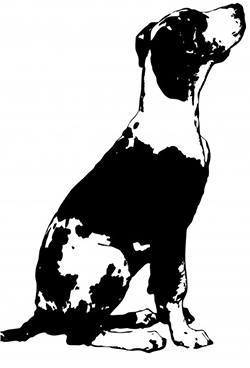 Within the first couple of years, Great Danes will grow rapidly. However, too much growth with affect bone formation. As the dog gains more girth around their body, bones in the legs can't keep up. They can swell up and cause significant pain. Other bones like the ribs are also affected. To avoid this issue, new puppy owners need to cautious of what food they supply. Dog food that's high in protein will speed up the growth process. It's best to avoid puppy food and stick with a food designed for all stages of life. Protein levels should be moderate. While bloating usually just causes discomfort in humans, it can be life-threatening in dogs. Great Danes are susceptible to bloat due to their large size. It occurs when the dog eats too fast, exercises after a meal, or drinks to much water when they eat. Essentially, the stomach can rotate and cut off blood circulation. As a result, the digestion process stops. Owners should keep an eye on their pooch during feeding. Multiple smaller meals throughout the day and specially-designed bowls to slow dogs down are great ways to ensure that the dog doesn't scarf down too much at one time. Some down time after a meal is also recommended.